The International Ground Source Heat Pump Association (IGSHPA) was established in 1987 and is located at Oklahoma State University. 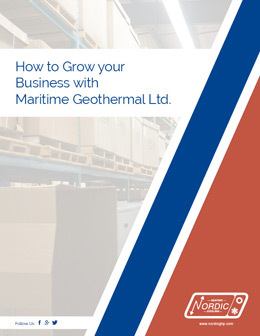 This non-profit organization is a recognized leader in the field of geothermal heat pump installations and is responsible for many of the technological advances our industry. Do I Need to be Certified By the International Ground Source Heat Pump Association? Getting certified by IGSHPA is a great first step to becoming a knowledgeable heat pump installer. IGSHPA offers regular training courses on a variety of topics ranging from installer workshops to drilling workshops, geoexchange designing courses and building load analysis courses. These workshops will help you competently design and install your geothermal heat pump systems. This knowledge will guard against poorly performing systems, faulty installations and customer dissatisfaction that could have a negative effect on your bottom line. Because of this, we recommend that anyone interested in becoming a geothermal heat pump installer in the United States be IGSHPA certified.